Ever wonder how to make the yummy, fried Hanukkah treats? 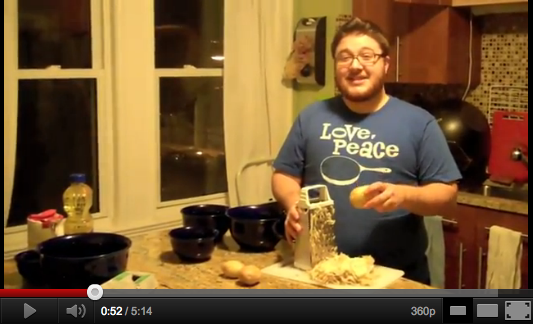 This video teaches you how to make your own latkes — potato pancakes — in a variety of flavors. Just grate, mix, fry and eat — it’s that easy! Need a little more guidance? Check out some of our favorite Hanukkah recipes!